Scallop Season for 2015 is open now and closes Thursday, September 24. Scallop season only lasts a few months, but during that time St. Joseph Bay draws visitors from all over seeking to fill their buckets with the succulent morsels. Catching them is easy and fun for the whole family! 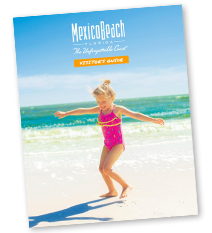 Create an unforgettable outing harvesting your feast for the night, and then enjoy your catch while watching a famous Mexico Beach sunset. Learn more about scalloping here. The Unforgettable Coast is known for having some of the best sportfishing in the world. Our warm Gulf waters are home to a variety of fish species: mackerel, grouper, kingfish, and many more. Charter a trip out into the Gulf or test your skills from the pier! 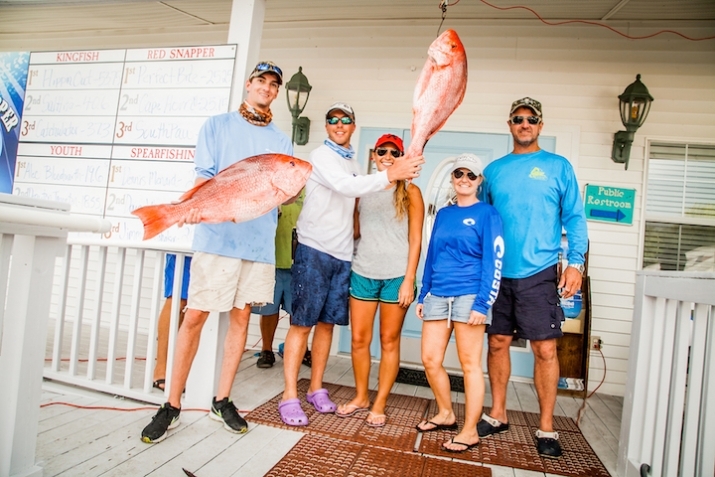 License-free saltwater fishing days will take place September 5 and November 28 this season. For all your other fishing or licensing needs, visit the Mexico Beach Marina. And, for competitive anglers, August 29 is the date of our biggest fishing event, the Mexico Beach Artificial Reef Association Kingfish Tournament. Join us in the chase for the “king” with competitions and cash prizes in both the Recreational and the Professional/Masters divisions. Learn more or sign up at MBARA.org. This year’s event, held October 2–3 along beautiful St. Joseph Bay in Port St. Joe, Florida, will feature art and craft vendors, educational exhibits, a popular kids’ zone, and many great food vendors serving scallops and more. The entire family will enjoy a great time in beautiful George Core Park, home of the new Cape San Blas Lighthouse. Award-winning country music singer and songwriter Phil Vassar, known for “Just Another Day in Paradise” and many other favorites, will be headlining the event. Each September, Mexico Beach invites guests to Music in the Park, a free small concert series held in Sunset Park every Thursday at 6:00 p.m. The concerts feature some of our favorite local and regional performers. Bring the whole family along with your lawn chairs, coolers, and blankets for relaxing, fun evenings and great music—not to mention incredible sunsets! One of our favorite local events, the Seventh Annual Blast on the Bay Songwriters’ Festival, will take place October 15–18, 2015, at nearly a dozen local venues. Come enjoy free performances by talented musicians and songwriters direct from the streets of Nashville. Festival performances will consist of over 30 musicians who collectively have written hundreds of hit songs for performers such as Faith Hill, George Strait, Jason Aldean, and Garth Brooks. Many new faces will appear at this year’s event along with Blast on the Bay veterans returning for another great weekend of music and storytelling. This festival continues to deliver on the promise of an incredible time for anyone who appreciates great music! For all you athletes, bring your family and friends to Mexico Beach for the USA Triathlon–sanctioned Beach Blast Triathlon and Duathlon. Taking place twice each year with a scenic course running along the beach, coastal highway, and trails from Port St. Joe to Mexico Beach and back, the Beach Blast is a great chance to compete on a relatively flat course—go for a new PR! The 2015 fall Beach Blast will be held September 12 with a celebration to follow. Learn more or sign up at BeachBlastTriathlon.com. Plan your fall getaway today!